Here I present you with 4 Free Software to Encrypt Email Messages. These free email encryption software let you easily encrypt your email. It is always a good idea to consider encrypting your email communications that can keep you safe from hackers intercepting and reading your personal private messages. Secure your sensitive email information with these free free email encryption software. 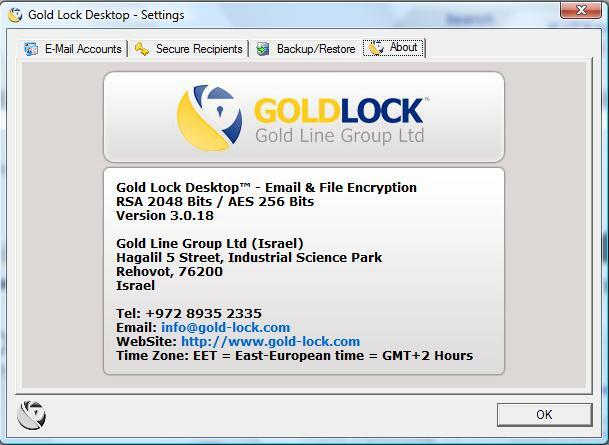 Gold Lock Desktop is a freeware email encryption program licensed by Israeli Ministry of Defense. 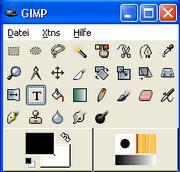 The software is compatible with Windows XP and Win Vista. Gold Lock can be used on an array of devices such as PC’s, laptops, mobile phones etc. It’s simple to install and easy to use. It uses RSA and AES encryption algorithms. All key management is handled by the computer device. Both the sender and receiver should have this program installed. This software provides the best security for Wireless network communications. It offers a military grade triple encryption security. Not even a single successful interception attack happened with this freeware so far. Download Gold Lock free email encryption software by following the link. Trend Micro is an email encryption client plug-in for Microsoft Outlook. It runs on multiple operating systems such as Windows 2000, Win XP, Vista. To install Trend Micro Email encryption program you need to register with the service. As you register, an encryption key will be created for you and you can use that key for sending your sensitive email message. You simply will have to press the Send Private button and the message will be encrypted through a 256-bit AES encryption algorithm. The encryption service is compatible with IE and Firefox. 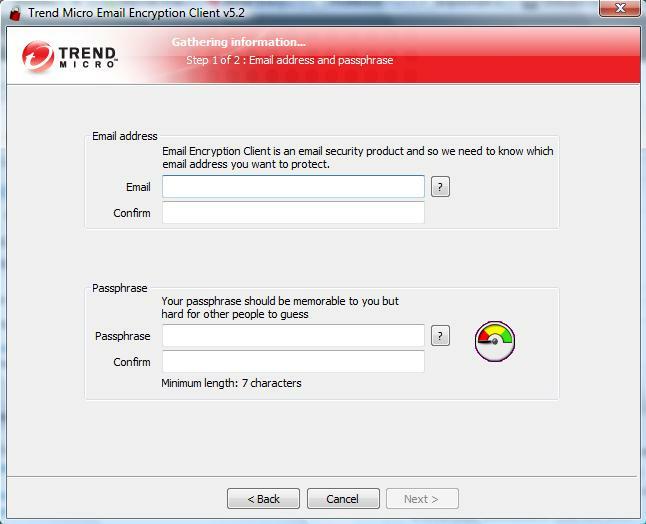 Protect your email communications through Trend Micro Email Encryption Service. 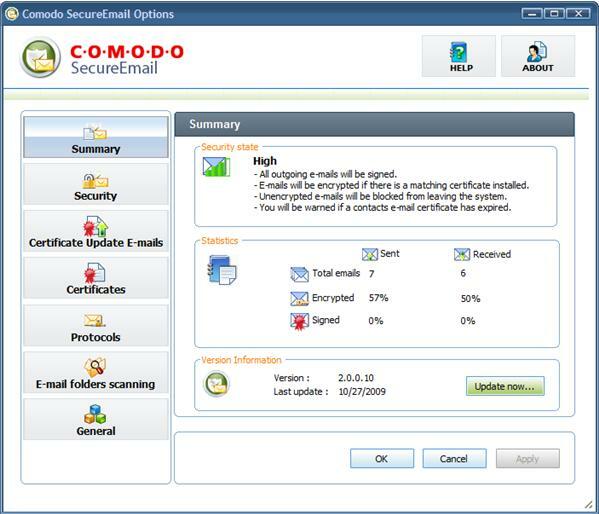 Comodo Secure Email is free email encryption software that makes email encryption easier. It runs on Win 2000, Win XP and Windows 7. The program features full compatibility with Outlook, Thunderbird, Incredimail and many other POP, SMTP and IMAP based mail clients. 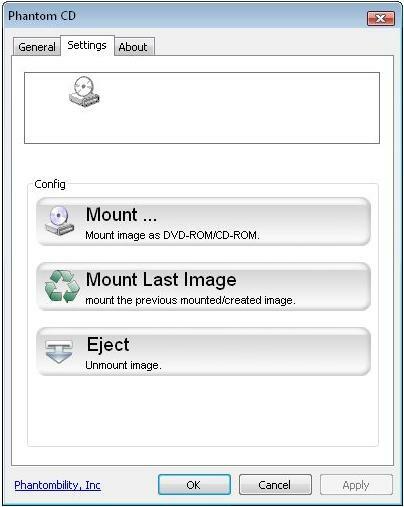 Installation of the software is simple and a detailed installation procedure can be found in the user guide that comes with the tool. All you do is to send unencrypted or encrypted emails to your recipients and Comodo Secure Email will take care of the rest. If you send an encrypted mail, then the receiver can download Comodo Secure Email to view the message. In that case the receiver’s digital certificate will be added to your library automatically. There is also an option for a one-time web form view of the message. The freeware comes with an easy-to-use interface and doesn’t take too much of your RAM space. Comodo Secure Email is a helpful piece of freeware for easy email encryption. Download it by following the link. GPG is GNU Privacy Guard. It is email encryption software for Windows OS. You create a private key and a public key when you generate the key pair. 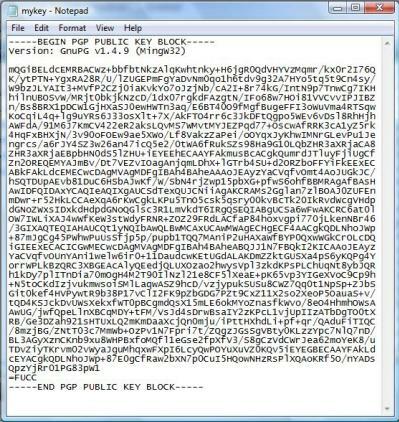 The public key is published for everyone. And you can encrypt all your email messages either with your public or private key depending on your purpose of encryption. GNU Privacy Guard HandBook can walk you through the process of encrypting your messages. Download GPG4Win here. Information Security is a serious concern. Increased competition worldwide causes valuable information to leak out. These free email encryption tools can digitally sign and check the integrity of your mail messages. Protect your messages and secure yourself from such security threats as IP spoofing, session hijacking, man-in-middle attacks and more.